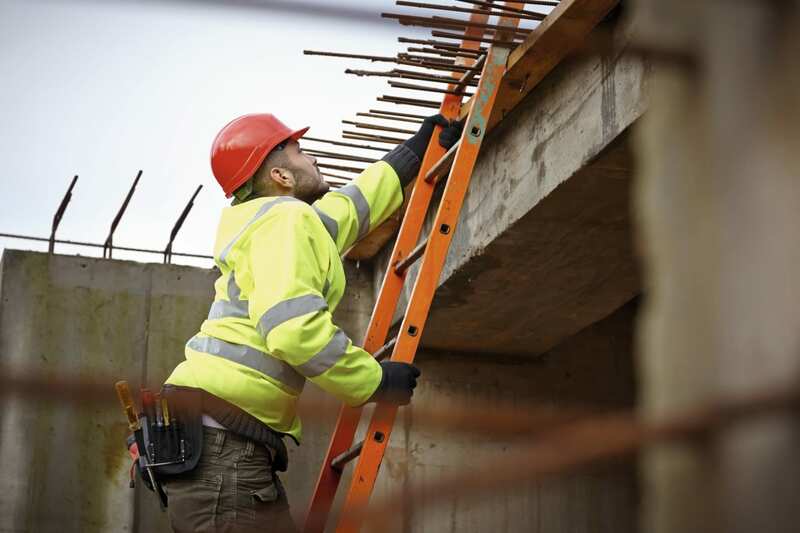 Falls from height account for a significant proportion of workplace and at-home serious and fatal accidents in many countries around the world. In this article Andrew Sharman argues that we must engage, encourage and empower workers to think differently about how they perceive risks in the workplace. We’ve all seen them haven’t we? The images in magazines and on the internet, those adrenalin-fuelled daredevils hell-bent on extreme sports. Each time we see them we catch our breath as we observe how they constantly push the limits, while at the same time carefully managing the ultra-fine balance between life and death. As we look on in wonder, are we witnessing a super-high degree of skill, learned through years of dedicated practice? As we look on in disbelief, though, we can’t help but wonder if they’re just lucky. Or plain stupid. What’s in their mind? Why do they do it? Now, to set the record straight, I’m apt to partake in some pretty unusual hobbies. BASE jumping, paragliding, sea kayaking, motorcycling and swimming with sharks would all feature in the ‘Hobbies and Interests’ section of my CV. But I’m not referring to these sorts of activities here; in fact, to be abundantly clear I don’t even consider these to be ‘extreme’ sports. They are, at least to me, simply activities with a degree of risk to be managed just like football, rugby, martial arts, trail running – and, arguably, even ping pong and almost any other sport you can think of. Rather, I’m referring to those idiots on ladders. The chap repairing the roof. The woman installing the new satellite dish. Those two guys who realise they don’t have enough scaffolding and so create an alternative access using whatever comes to hand. The worker stretching out to joint a cable just out of reach. The engineer replacing a broken streetlamp. The painter leaning out to get that last little bit… These aerial acrobats have become so popular that there’s even now dedicated PowerPoint slideshows doing the rounds with photographs of such high jinks, typically generating a guilty giggle and often incorporated into safety toolbox talks. It doesn’t matter where we are in the world, we’re likely to find at least one ‘idiot on a ladder’ or working at height somewhere. Some of you, as health and safety practitioners or operational managers may have even found them in your own workplaces. Only last week during a site visit the factory manager I was with did a double-take as we turned a corner to find a forklift truck, engine running, driver in place, its forks raised to maximum height, with a ‘working platform’ made out of an old pallet, upon which stretched upwards the longest ladder I’d ever seen. Right at the top, many metres above us, was an intrepid maintenance technician – clearly not a sufferer of vertigo – with wrench in hand, attempting to fix a leaking pipe. A few metres away, a pile of temporary scaffolding pipes and clips sat silently, just begging to be noticed. Work at height has been a priority issue for most workplace safety regulators and inspectors around the world for many years. Without doubt, most readers of this journal would consider work at height as a potential ‘high risk’ task that requires careful assessment and planning, and diligence in execution. But why isn’t our assessment of these risks shared by the workers engaged in carrying out the task? And why is it that they seem so oblivious to the very real and present danger that they place themselves in? Falling from heights is one of the most common causes of admission to the Emergency Room in the United States of America, the United Kingdom and several other supposedly ‘developed’ nations. Unsurprisingly it also ranks in the top 10 of Accidental Deaths for many of these countries, too. So why has our thinking not developed to such a degree to allow us to see the risks for what they are? But it’s not just the ordinary folks – in the last 12 months Brad Pitt took a tumble, leaving his handsome face scuffed and scarred, and Tom Cruise suffered a similar fate too. Over in the UK there’s even a national tournament recognising the phenomenon. The ‘Idiots on Ladders’ competition recognises the stupidity of humankind when working at height. This year’s winner is a man way up on a building roof, charged with a repainting job. Acknowledging the challenge of building a scaffold to a hard-to-reach area, he creatively constructs his own using three ladders: one each side to act as the legs or brace, and a third positioned horizontally between them to create a platform on which he can balance and attempt to work. It’s this last idea that resonates with me. Think for a moment to the work at height activities in your workplace. I’ll wager that the majority of equipment being used is in good order, well-maintained, and often used in the correct manner for which it is designed. So why is it that work at height remains one of the leading causes of death and serious injury around the world? Is it simply because a fall from height typically has greater potentially to kill or maim? No, the real issue is around perception - risk perception to be exact. People simply don’t see the risks. Here are four recent fatal accident cases to illustrate my point. A pregnant worker fell three metres through an open cellar hatch in a nightclub in the United Kingdom. The 23-year-old woman was busy working behind the bar, turning to fetch more drinks for a customer she did not notice the hole in the floor behind her – the hatch had been left open by another worker who had descended into the cellar to retrieve stock – and promptly fell down the stairs to the cellar below. The opening of the cellar hatch behind the bar was common practice, especially in busy times where frequent stock replenishment was necessary. Indeed, the injured person had worked at the bar for several months and was familiar with the practice of opening the hatch having previously retrieved stock from the cellar herself, and even stepping over the open hatch to reach other parts of the bar area. In Lahore, Pakistan, a worker died after falling from a crane during overhead works to create a new line on the metro network. The man had ventured out along the beam of the crane to replace a loose piece of pipe when he slipped and fell to his death. His aerial activities occurred just days after a site toolbox talk on the dangers of working at height, which emphasised the need to ‘always clip-on’ with a harness. In Australia a worker died while operating a scissor lift during construction of the new Royal Adelaide Hospital. The worker sustained fatal injuries when he was crushed between the lift and a concrete slab overhead. The deceased was the only operator of the controls of the scissor lift, and it was he who raised the platform towards the ceiling. The incident was strikingly similar to a previous accident in November 2014 on the same site. A worker on Shell’s Brent Charlie oil platform plunged 23 metres into the North Sea when a sharp edge severed his access rope. The worker had descended on abseil equipment through an access hatch to retrieve fallen items and debris from below the main deck. Upon completing the task, the worker began to climb back up, however his weight pulled the rope tight against the sharp edge of the access hatch, severing it and allowing him to fall to his death. In each of these four cases, even on the limited information I’ve provided, I’m certain that you’re already spotting the risks and picking up on crucial points for action. So it would appear, at least on face value, that each worker just didn’t see the risks in the way we might expect them to. The previously mentioned accidents highlight two key issues. The first is around assessment of the actual risks – subsequent investigations in each case found that the formal risk assessments were, at best, lacking. In two of the events, risk assessments were not even completed. Work at height often features in an organisation’s Golden Rules for workplace health and safety. The logic behind Golden Rules is sensible: identify the biggest risks of fatal or serious injuries and create an absolute non-negotiable rule for their control. Just like on the Pakistan construction site in the case study above, many of our clients have in the past typically included a statement such as “All work at height must be properly controlled. Those working at height must always wear a harness and be clipped on at all times.” But that doesn’t mean that it always happens like that, does it? Could it be that the workers’ perceptions of the risk don't match the intent of the rule? Just a few weeks ago I’d been through a pretty robust site safety induction before being taken for a tour around a large construction site in downtown Johannesburg. This creation of a new global headquarters was indeed awe-inspiring, with 10 floors above ground and three more below, the building was magnificent both in terms of size and its architectural splendour. The site’s Golden Rules were fresh in my mind. Rule 4 concerned work at height: “Work at height means any work performed more than 1.2 metres above the ground. Harnesses and lanyards must be inspected before each use. Workers must always clip on to a secure point when working at height.” Straight-forward and clear, I thought. Venturing out onto the site I stood in what would become the main reception area, a vast space which would become replete with a massive vaulted glass-ceiling. From here I felt like a tiny ant as I looked up at the galleries of each floor above me. Climbing the scaffolding staircase we ascended towards the roof. On the fifth floor however, we had cause to break. Two men, kneeling on the floor, were working to install fixings for the gallery windows. Both were wearing harnesses; neither were clipped on. When asked about the Golden Rule for working at height their response was spot on: “You must clip on if you are more than 1.2 metres up.” But I was surprised when he added “We are sitting on the ground though, not on a scaffolding or ladder, so it doesn’t apply here to us.” Even when my guide nodded towards the drop of five floors just a few feet from where the man sat, he was still puzzled. His understanding was that he must have actually climbed up something first to make the rule come into play. Although he knew he was on the fifth floor of a skeleton-like work-in-progress construction, and had been up and down on all levels every day for several weeks, he simply couldn’t see the very real and very serious risk of falling from height right in front of him. To this man, all was normal. He spent his day installing window brackets, usually while sitting or kneeling on the ground. Sometimes on level one, sometimes level three, four, five, 10. He had become so familiar with the heights that he didn't see the risk, nor the applicability of the rule. Further discussions with our man revealed that he had never suffered a fall from height in his career; he’d “always been careful” he added. This notion that a wealth of experience makes us invincible to risk is reinforced in some people because they say “it’s never happened to me”. But as I’ve suggested in previous articles and also in my book From Accidents to Zero, the absence of accidents does not equal the existence of safety. So what can we do about risk perception? Whether it’s working at height, or any other potentially risky work task, maybe an alternate angle could help. All too frequently risk assessments are completed at the desktop. In the event that the assessor gets out to the work location, the activity is often done in relative silence, perhaps ignoring the workers themselves. In our bid to create safety in the workplace employee engagement is vital. It’s time to build dialogue rather than assume alignment on risk. Try asking workers “What is slow, inconvenient or uncomfortable about doing this job safely?” – it’s a sure-fire winner to get them thinking. You’ll either get suggestions for improvement, or confirmation that things are under control. With the latter you then have room for a follow-up: “So, if I were working with you today, what would I need to know in order to go home safely after work?” More thinking encouraged, and a verbal confirmation of the risks, rules and procedures associated with the job, which serves well as salient reminder to the worker. If you spot a risk that’s not been mentioned this can be dropped into the conversation at this point and discussion continued. You might even try “So what could we do to make this task even safer?” Safety dialogues like this can be done at any time, not just during the risk assessment process, and by anyone, not just the safety manager. They can even be used by managers and supervisors on a daily basis to boost risk awareness right around the workplace. The time for toolbox talks showing idiots on ladders has passed, let’s move beyond ‘superheroes on stilts’ and use good old-fashioned conversation to engage, empower and equip our workers with enhanced risk perception skills. It might just stop them – and you – from falling from grace.